Meet Ivan Hairston. 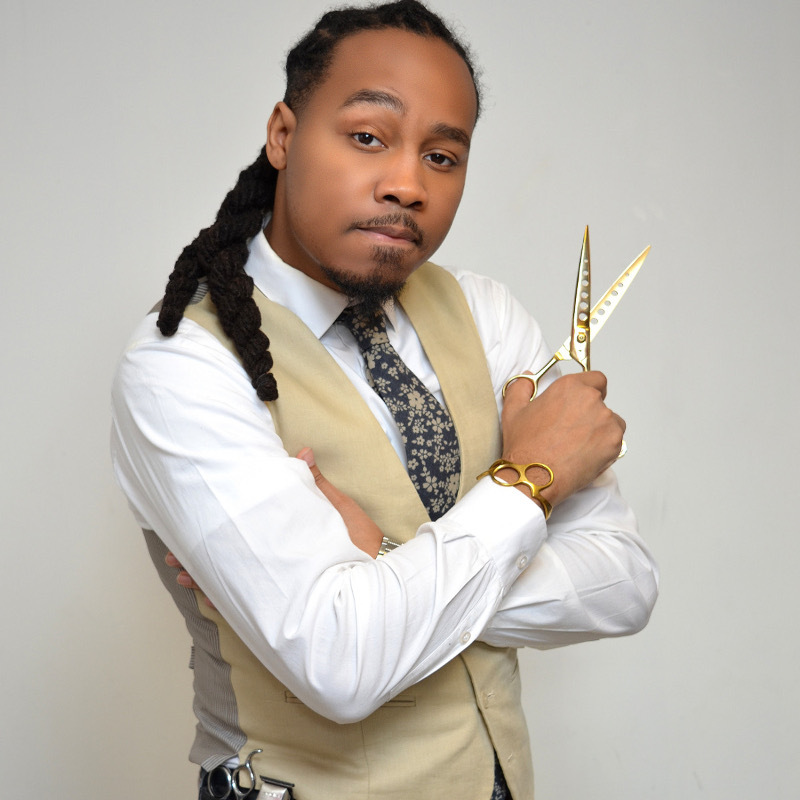 Ivan is a sought after professional unisex barber and stylist from the south side of Chicago. His brand is “Illustrious Cuts” and he cuts out of Hyde Park Barber Studio, located at 1431 E. Hyde Park Blvd, Chicago, IL 60615. I grew up in few of Chicago’s rough neighborhoods including Englewood and Bronzeville, just to name a few. My mother grew up in the Harold Ickes Homes Project which was a Chicago Housing Authority public housing project in the Near South Side neighborhood of Chicago. She knew firsthand about the project’s share of crime, drug and gang and how it negatively impacted black kids. As a result, one of her many remedies was to create a balance by integrating us into the Hyde Park neighborhood. Between the ages of 5 to 18-year-old, I commuted back and forth from my “humbling hoods” to Hyde Park for school. The Hyde Park neighborhood exposed me to the multicultural background and a more vigorous education while attending Ray School and Kenwood Academy. Over the years, I had the experience of connecting with lots of people and visiting different places; however, none compared to that of Hyde Park. What I like the most about Hyde Park is its strong sense of community and how everyone comes together. Besides God, it’s hard to say who’s the most influential person in my life. I was raised in a family unit, a village as we say. I’ve been poured into by different family members, at different times in my life, depending on the situation. My mom is the main component of my influence. I really do not have any regrets. I believe that there is a time for everything, and a season for every activity. Eventually, they all come together. I’m in Love with the whole process! I’m most proud of my wife and kids. Being an entrepreneur isn’t always easy and those strenuous hours sometimes take a toll on the family. Overall, my family is very supportive and endures my late nights and sporadic movements like Champs.